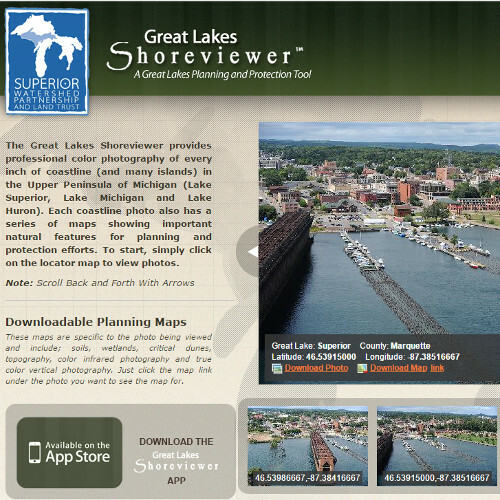 Welcome to the Superior Watershed Partnership Great Lakes Shoreviewer page! 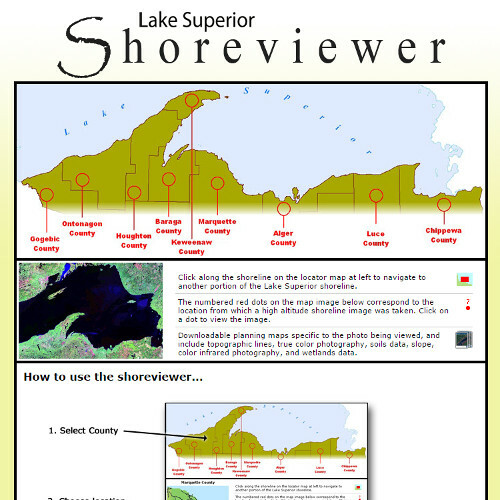 Here you can access three different Shoreviewer programs, each containing different sets of aerial photography. 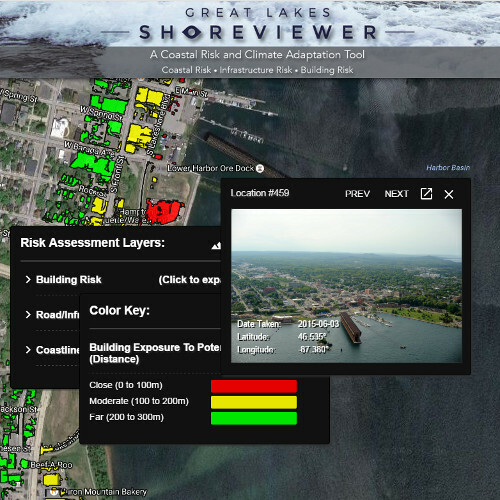 The new 2016 Great Lakes Shoreviewer also contains coastal risk assessment layers in addition to high resolution aerial photography. This is an exciting new tool, and has been included in the US Climate Resilience Toolkit. In locations where aerial photography from different years overlap, you can compare the photos to aid in identifying and tracking changes to the shoreline. Please feel free to use any of them to explore and learn about the many varied types of Michigan coastlines!